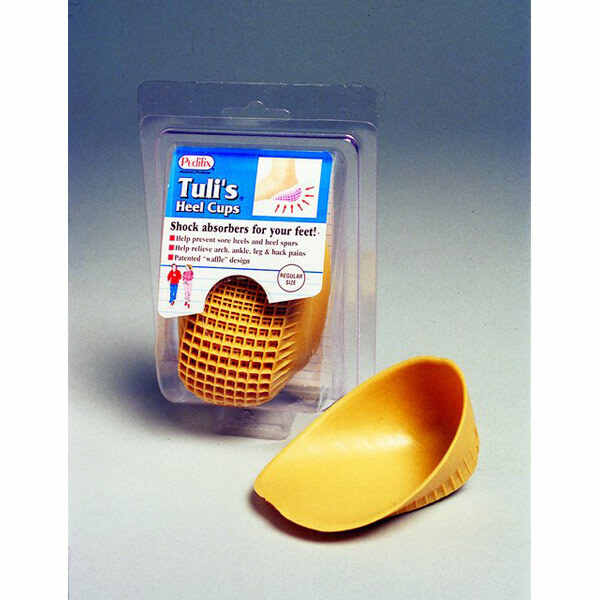 Tulis Heel Cups Soft rubber waffle design collapses and springs back into shape with every step. Relieves pressure on sore heels, spurs and bruises. 1 pair.